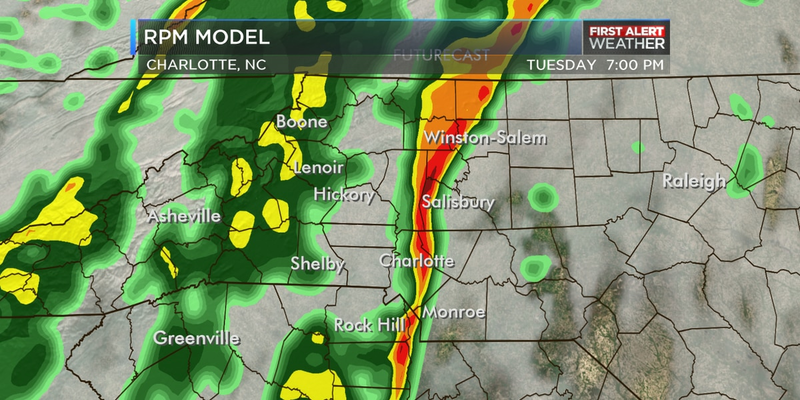 CHARLOTTE, NC (WBTV) - A First Alert Day has been issued for Tuesday afternoon and evening as the heaviest rain is expected to move through then which also corresponds with the evening commute. Give yourself extra time to reach your destination during this period. The first chance for rain will come Tuesday morning. It will mainly be in the form of light showers but could prove a bit disruptive during the morning commute. Having said that, showers are fair game all day on Tuesday in advance of the heavier afternoon line of rain. Somebody might hear a rumble of thunder, but this is not going to be a line of thunderstorms. 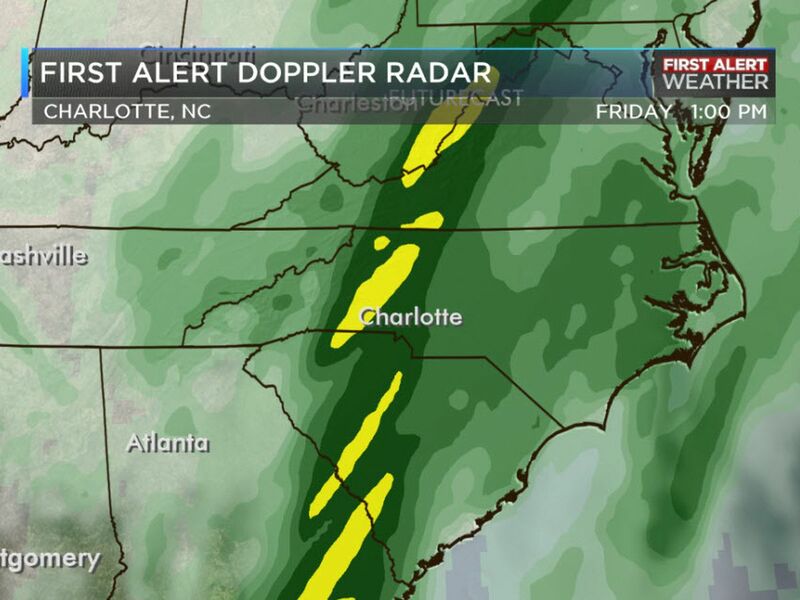 The better chance for rainfall will come in the afternoon as the cold front moves though. 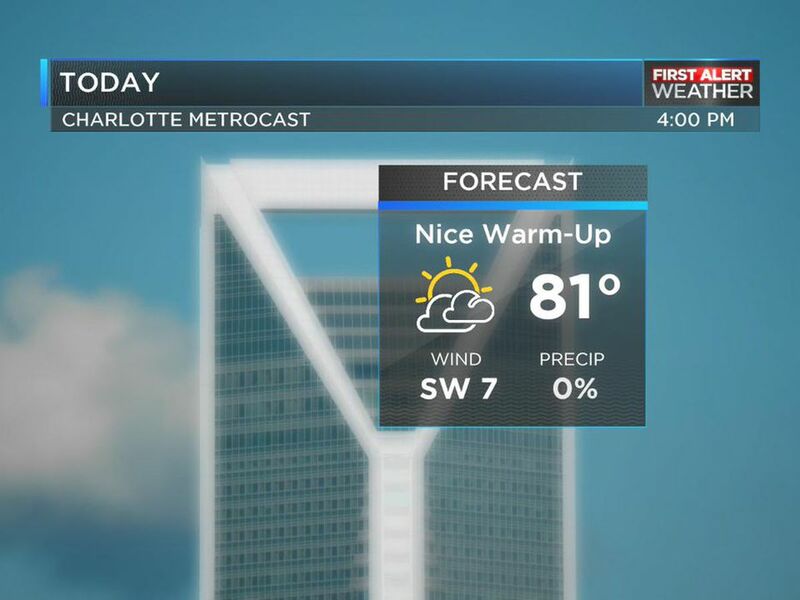 From the late afternoon through the evening, a line of showers and even a few thunderstorms will move across the Carolinas from west to east. 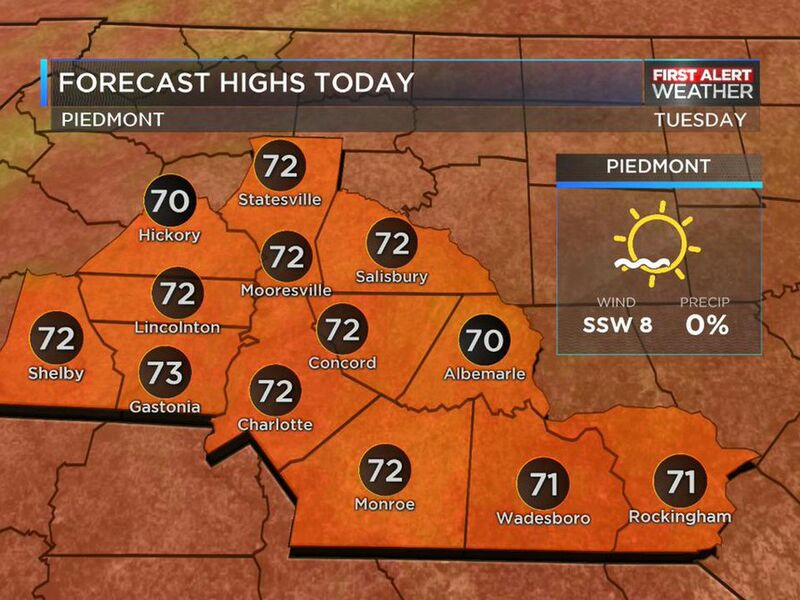 The mountains could see it in the late afternoon and the rest of us will see it progress from there. 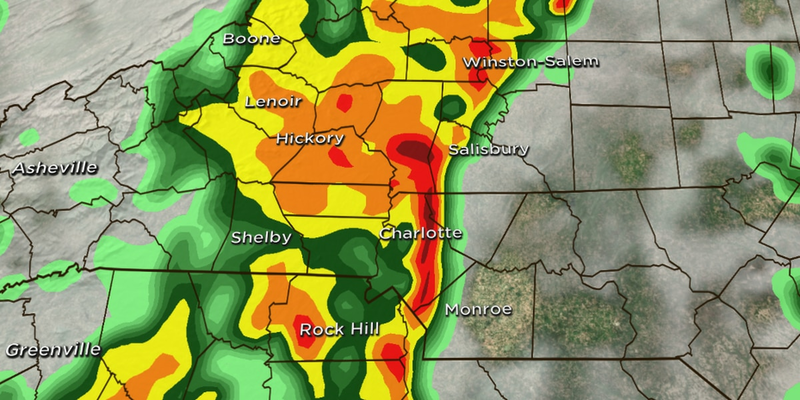 The Charlotte area would see the rain move in toward the end of the evening commute. The biggest concern will be for rain and possible gusty winds. The rain is expected to clear our around 12 a.m.
Wednesday and Thursday will be much nicer. 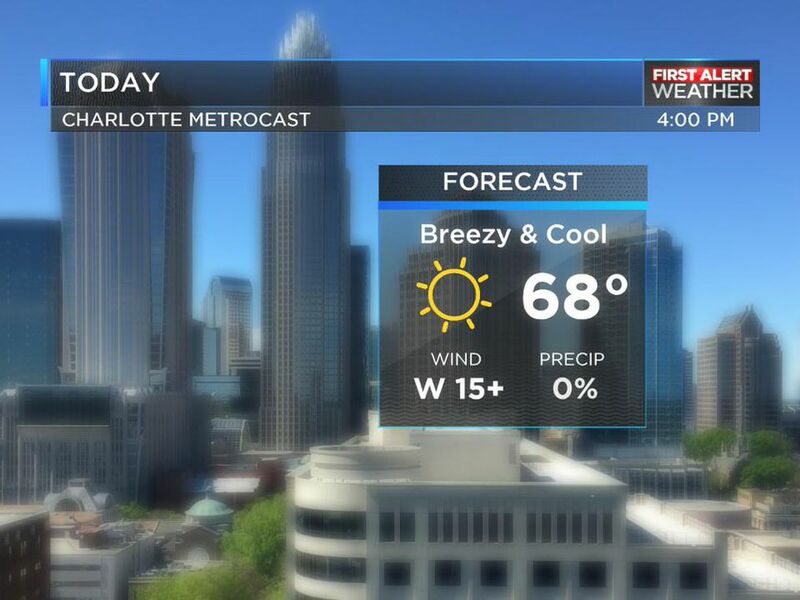 It will be mainly dry and highs will be in the low to mid 60s. The next chance for rain will arrive later in the week. If you have outdoor plans on Friday or Saturday, keep a close eye on the forecast as we approach the weekend. 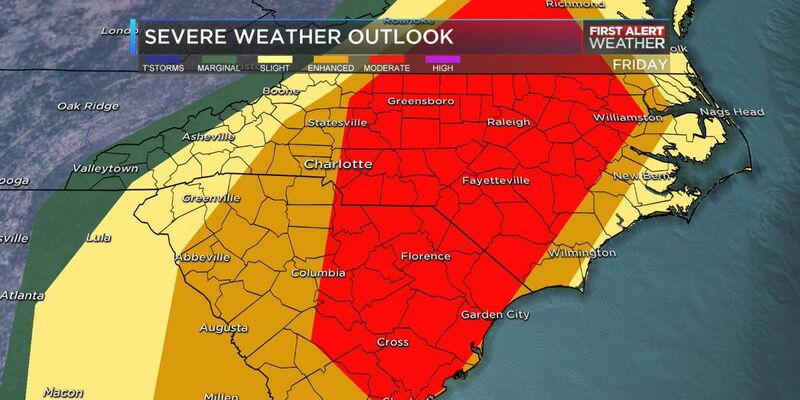 Download the WBTV Weather App to stay up to date with the forecast and be alerted of when rain falls in your area.